I’m not really ready for Christmas yet – it was over 90 here in Portland yesterday – extremely hot for us – but I know there are some of you out there who work Christmas all year round. but it’s available again for pre-order. 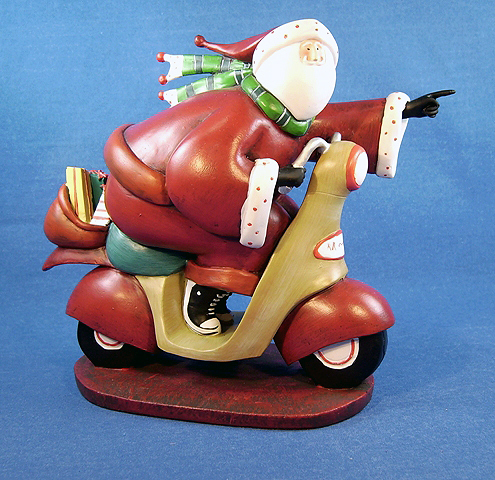 The interest in the Scooter Santa figure by Jennifer Garant was overwhelming last year. Our stock ran out after just a few days. We special ordered Scooter Santa for the 2008 season; he is scheduled to arrive on August 15.